Dennis had been due to start from seventh but a new system caught out the RSF-backed Prema driver as he rehearsed the start procedure before taking his place on the grid. Attempts to restart his stricken Dallara-Mercedes were then thwarted by a battery that was low on voltage consigning him to the pitlane. After that it was a case of picking off the backmarkers one-by-one in the hope of making it into a points-paying position. But in the closing laps tyre degradation halted his progress leaving him with no option other than to settle for 15th. 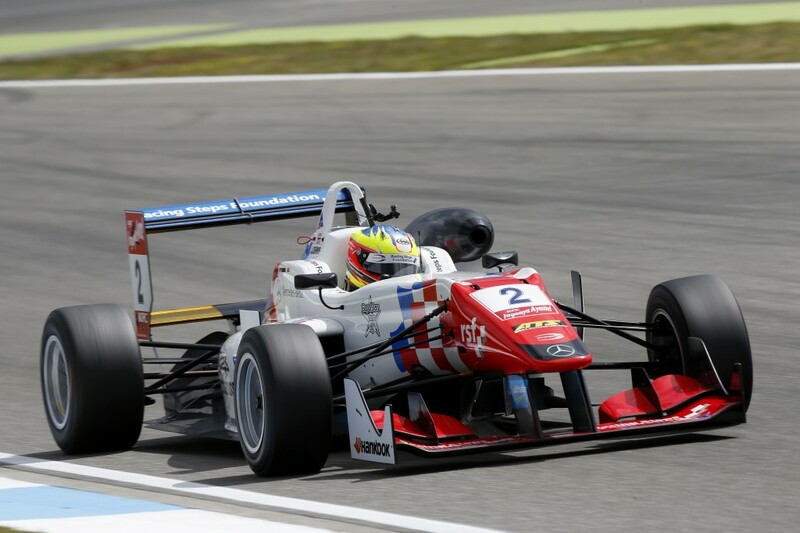 Prema team-mate Felix Rosenqvist took the winafter dominating proceedings from start to finish to take the chequered flag some nine seconds clear of Van Amersfoort's leading rookie Charles Leclerc. Carlin's Antonio Giovinazzi claimed the final podium place from Mucke's Maximilian Gunther with five laps to go to finish almost four seconds clear of the German by the chequered flag. Dennis, who finished 48 seconds behind his victorious team-mate - was left to rue what might have been. "The new system is so difficult to use," he said. "Get it right and it's brilliant but get it wrong and like me today you end up paying a hefty price. "The only positive to take out of the race after that is that my pace wasn't so bad. But even so, 16th simply ain't good enough - even if I did start 35th or whatever. "Unfortunately - because of all the overtaking I had to do - I just had no tyres left towards the end when I'd got myself into some clean air and could have taken more places."